Three days of Eid celebrations at the Karama Park. 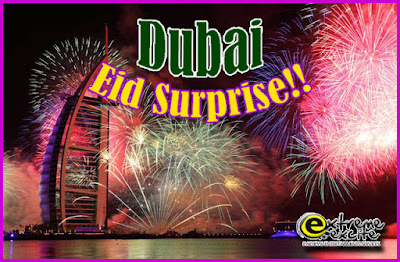 Bringing the essence of Eid this autumn, the Dubai Eid Surprises is an event for the whole family. Focusing on traditional values such as family, togetherness and sharing, the Dubai Eid Surprises festivities will gather the Dubai community together for three days of fun at the Karama Park. Turn up at the event to find out all the surprises in store this Eid.